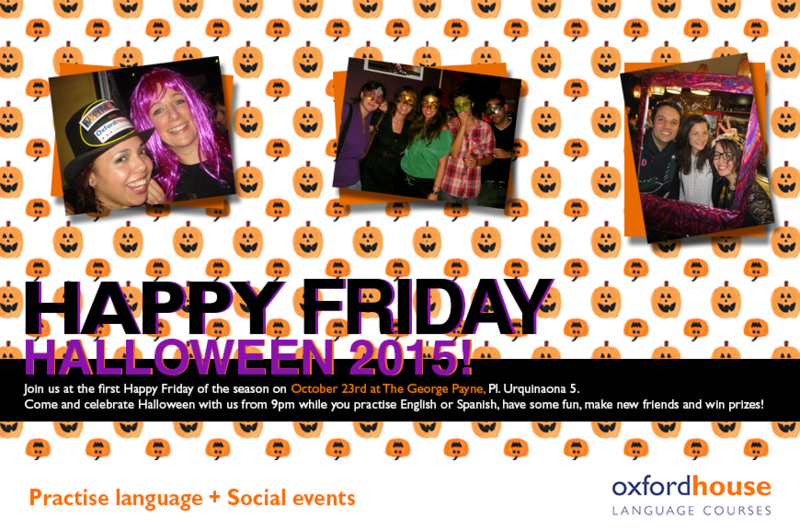 « Happy Friday – Join our Halloween Language Exchange! Do you believe in luck? Do you consider yourself a lucky person? Would you like to try your luck? 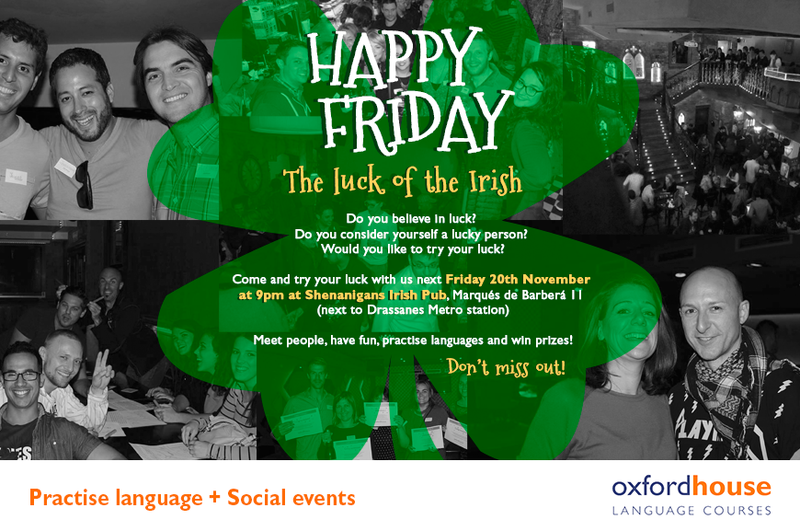 Find out more, next Friday 20th November, in another edition of Happy Friday: The Luck of the Irish. Not only will we be talking about our own luck but also how other cultures see it; and who knows, we might even try our own luck! What a perfect opportunity to practise your English or Spanish have a drink, meet new people and enjoy yourselves! Also for the lucky ones amongst us there will be lots of great prizes to be won! There will also be drink specials such as bottles of Estrella for only €1 (untill 10pm) pints for €3 (all night long). Come and try your luck with us next Friday 20th November at 9pm at Shenanigans Irish Pub, Marqués de Barberá 11, 08011 (next to Drassanes Metro station).